New Delhi [India] April 10 (ANI/NewsVoir): 93.5 RED FM, one of the largest and most awarded private radio networks in India aims at creating awareness around voting this general election with its national campaign ‘Ab Watan Dabayega Button’. 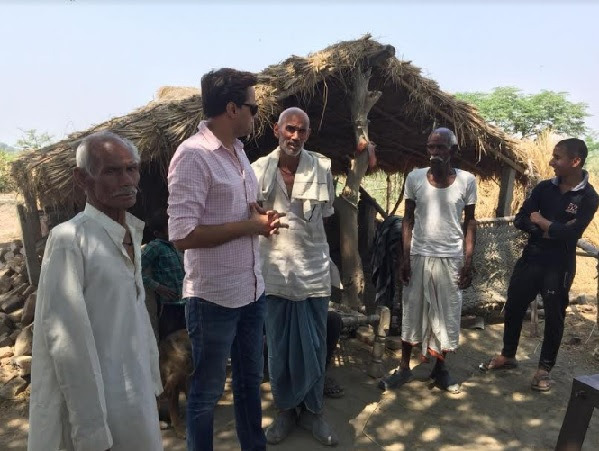 As a part of this campaign, Red FM reached out to the residents of an abandoned village Dalelpur which had boycotted the General Election 2019 and convinced them to cast their vote. Dalelpur village in Gautam Budh Nagar consists of 250 residents and is very poorly connected to other cities. The villagers rue years of ignorance by the system including lack of proper connectivity to their village and had announced the boycott of the Lok Sabha election. To understand the root cause of the problem, RED FM’s Morning No.1 RJ Raunac, who is Election Commission’s 'Youth Ambassador' of Delhi, decided to help villagers be a part of the election. RED FM has also arranged transportation for the villagers on the day of the election. The drive also highlighted other challenges being faced by the residents and civil society participants have come forward to help. Take the case of Aastha, a local resident of Dalelpur village as well as a national level award winner in power-lifting. She had lost all hopes as her village lacked basic necessities. After hearing her story on RED FM, supporters from all over the country joined hands to help her. “At RED FM, we want every individual to take equal responsibility to be able to choose their leaders of tomorrow. We have partnered with the Election Commission of India to increase and encourage people to enrol themselves for the elections. RED FM has always stood up to bring positive change in society through its campaigns. This initiative endeavours to extend a helping hand to the people of Dalelpur and encourage them to be a part of the General Elections”, said Nisha Narayanan, COO, RED FM. “I thank RED FM and RJ Raunac for bringing up the issue and appreciate how RED FM played a vital role in the voter awareness campaign by encouraging Dalelpur villagers to begin voting. It was truly a remarkable job empowered with a positive and change-making thought for the nation”, said BN Singh, DM of Gautam Buddh Nagar. The initiative 'Ab Watan Dabayega Button' aims at creating awareness around voting and helps in creating a milestone voter turnout. The initiative will specially focus on educating and resolving queries of youngsters who feel voting doesn't make a difference. The objective is to keep in mind the first-time voters - people who have just turned 18 or people who haven't voted despite crossing 18 because they think voting doesn't make a difference. RED FM will speak out loud about the fact that every vote counts in building a better and brighter future for India.